BURBANK, California -- A group of scientists at the Jet Propulsion Laboratory in California are working on a device that could save firefighters' lives around the world. The device was developed by a research team at the NASA lab. It's a tracking system called "Pointer," and its technology may solve a long-standing problem for firefighters. The problem has been how to track them inside of steel and concrete buildings, where GPS and radio signals can often be blocked. Seventeen years ago in Worcester, Massachusetts, six firefighters were dispatched to a smoke-filled warehouse and unable to find an exit before running out of oxygen. They lost their lives that day. Burbank Fire Battalion Chief Ron Barone said having a device like Pointer would be an important tool for his firefighters. "Most of our safety features are signal dependent. If we're in a concrete and steel building, they simply don't work," he said. If a firefighter became lost or trapped in a structure fire, they're bound to use technology that's been around for decades, such as radios, thermal imaging cameras and an alert system. But each of those devices has limitations. "Inside a structure fire, everything is noisy. There's lots going on. We may or may not be able to hear (a device), and even if we do hear it, we not be able to exactly pinpoint where (the firefighter) is," Barone said. Although there is interest in what JPL's device can do, the technology is being developed further - mainly to make it smaller so it can be placed in a pocket or on a belt buckle. But doing something like that could take a few years. Barone said once that technology is ready, his department would not turn it down. "I'm encouraged by something like this that could, using technology, help us to find our own in case they get into trouble," he said. 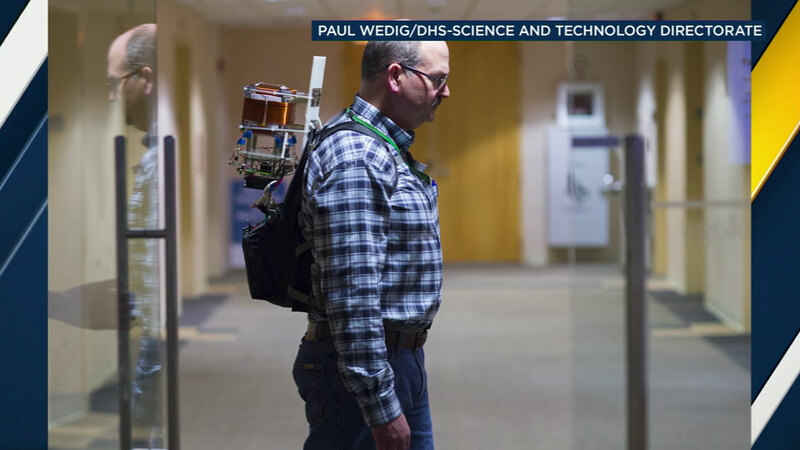 The lead researcher at JPL said the device of this kind could not only help firefighters, but could be used for search-and-rescue efforts, the military and even in space.